5+ weeks of sitcoms have graced and defaced the TV landscape, creating marvels and mudslides. Who is reinvigorating the genre, and who is rendering it a relic? Take a moment and examine the year's end of the best and worst network television has to offer. Naming The Big Bang Theory the leading veteran may seem another trite attempt to grab page views from the network's most popular brand. But the 11th season opener demonstrated the series can reinvent itself despite its extended age. Experiencing continual declines in viewing patterns since 2014, the season opener experienced a brief ratings spike to a 4.1, a high they had not seen in nearly two years. The spike can be attributed to the "Shamy" proposal cliffhanger, which did not shock but rather explored option A (yes) and B (no). TBBT took option A+ (yes, followed by twists viewers couldn't wait to see unfold). Ratings have since graveled downward in the expected trajectory to measures as low as 2.8, but demonstrate the premise is capable of reviving itself much like a Grey's Anatomy disaster. Can TBBT break past its expected Season 12 ending? Rather than expect the show to turn into the Zombie Bang, Chuck Lorre seems vested to keep this show from expiring in the near future. Its ratings have not underwhelmed since the 1st season's dreadful Tuesday scheduling. Quality, however, hit its lowest in last year's 4th season, and ratings erosion accelerated. Instead of resorting to gimmicky measures and plot-driven twists, the show-runners delivered its greatest development in returning the show to its lovable roots. Goldbergs is down from the prior season, yet stands as the durable Wednesday evening lead, ranging between 1.4-1.8 on given Wednesdays. 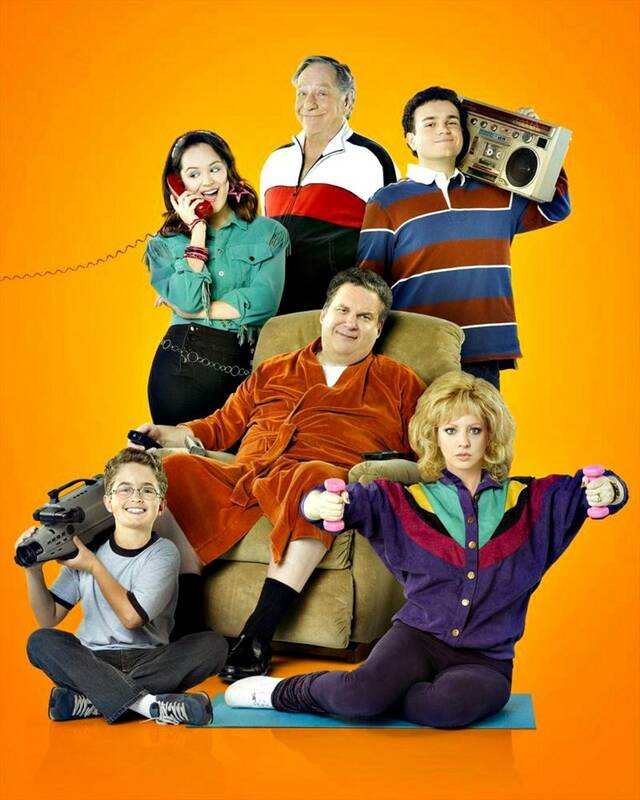 Renewed through 2019, Goldbergs needs to remain on its A-game and help carry ABC into the next decade as this season's crop is underwhelming and steady. Now juxtaposed in its 29th Season, The Simpsons is still rating in-line with evening and cross-network averages. They are still down from previous seasons as theyfinally reflect the diluted creative quality of earlier seasons. 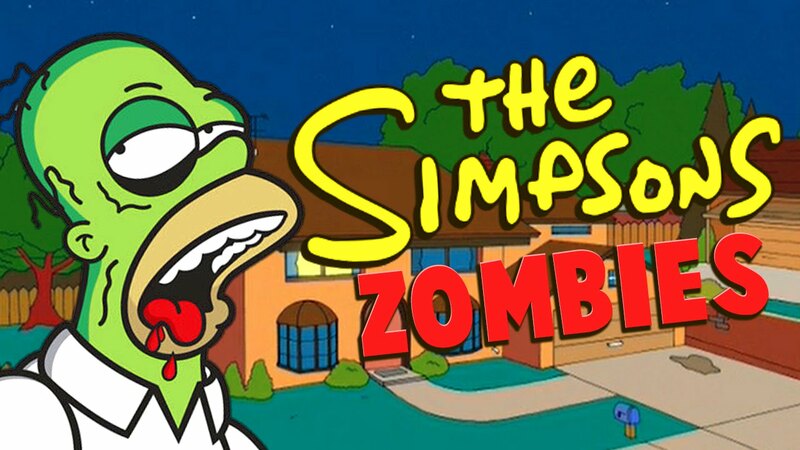 Now dubbed Zombie Simpsons, it is a shell of its former self and no longer a prime development bed for new series. Simpsons is FOX's highest-rated sitcom and is capable of surprising viewers and needs to start investing in renewal potential as 2019 is fast approaching. Its 1.6 delivery this week was only two-tenths off from FOX's highest-scripted show, Empire's 1.8 showing on October 18, indicating the Simpsons can still entertain viewers. But it needs to reinvigorate the premise to parallel that brilliant quality from October 22. 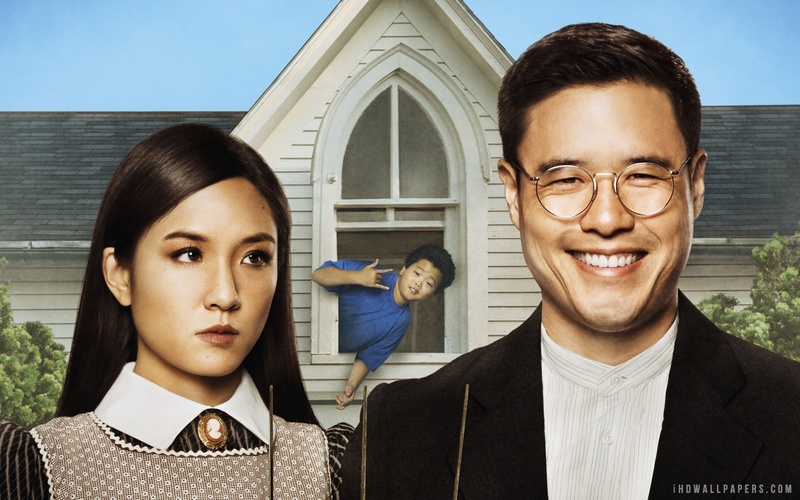 Inside three calendar years, Fresh Off the Boat has been bounced seven times around the schedule, ranking as one of ABC's weakest sitcoms in the 2016-17 season. However, the show delivered impressive, steady ratings during last springs's frosty ratings damaging many sitcoms. Come Autumn 2017, FOTB was moved, yet again to 8:30 on Tuesdays. The results? 1.1 seems to be this sitcom's favorite number, right in line with many sitcoms this season. The show's reward? It seems to be groomed to assume The Middle's 8:00 timeslot in 2018 with its likely renewal. Steady = growth in 2017. Last year's breakout crass-com helped reinvigorate Tuesday ratings, making American Housewife the next tentpole in ABC's future. For the first half of the season, AH outperformed veteran lead-in The Middle. Ratings cooled in the Spring frost, so ABC gave the series some well-earned TLC and upgraded it to Wednesday evenings, where it fits the tone and Nielsen yield of the evening. Its ratings are down from last fall, ranging from 1.3-1.6. But so are everyone else's. 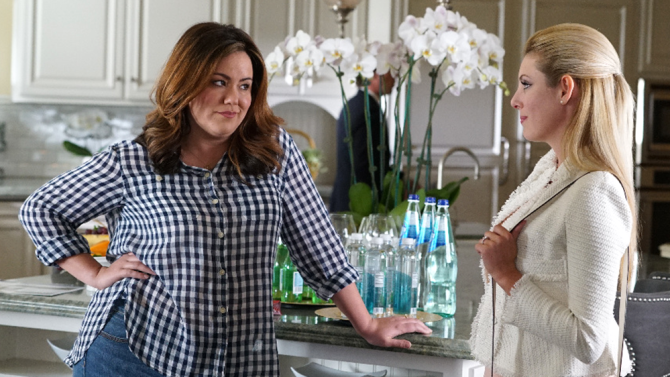 The beauty with ABC's calculated chess move is American Housewife is positioned to succeed Modern Family if the show leaves the air in 2019. Brilliant maneuvering and a better guarantee laughs will live on into the 2020's. A stunning cast, a heralded show-runner, and a contiguous tone with shows of network past. 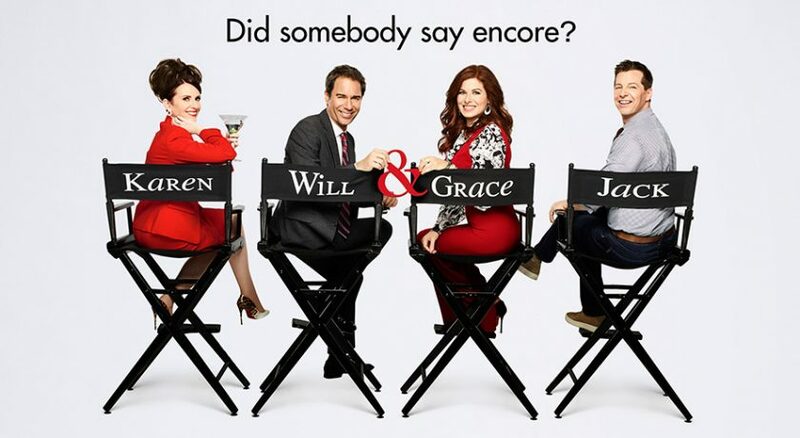 Great News appeared to be handicapped by scheduling, so NBC handed it a plum development bed behind the Will and Grace continuation. The results? Yet another under-performing sitcom weighing down Thursday evening. 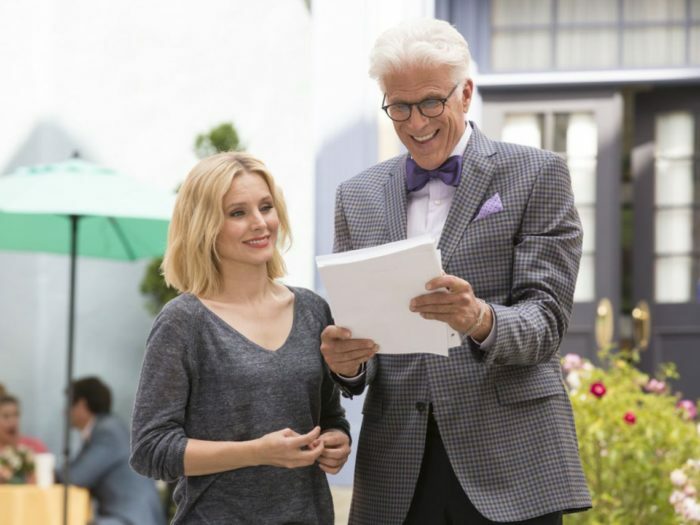 Unlike W&G's lead-in The Good Place, GN is not utilizing the potential of its exposure. Given W&G has wrangled between 1.7-2.0 after its hyped premiere, GN should manage a 1.1-1.2 at minimum and has thus far ranged from 0.8-1.3. Other sitcoms such as Superstore and Trial & Error would have flourished in this development bed, instead squandered as this show cannot find an audience or hold stable at a 1.0 to gain notice. The post-Big Bang timeslot real estate is a premium and is either indicative of a favored or weak show. YS is indeed favored by CBS, but it took that favor as a leg-up vs. a handout and delivered a grandiose 93% retention of its star lead-in. The hype and ample exposure undoubtedly aided a 3.8 from a 4.1 lead-in, but that premiere rating has left viewers clamoring for more next fall. The only part leaving much to be desired is a 5-week wait for episode 2, which will likely retain above average 18-49 adult demos. CBS has perhaps located not only a predecessor to its aging flagship, but perhaps another anchor for both evenings if TBBT lives on into Season 13. Will Young Sheldon continue as a heavy-hitter, or descend into the 1-range? Either way, that premiere demonstrated promise and the best use of this development bed. Unlike the last praiseworthy mention, 9JKL delivered at the opposite pole, setting a record-low 42% TBBT retention on October 16. Its ratings rebounded slightly this week, but the mock address formula is not utilizing exposure as KCW did in 2016 to get the audience to invest. Ratings have ranged from 1.2-1.6, with this week making a welcome rebound to 1.4. The real test will come October 30 and November 6, as 9JKL needs to perform at a 1.0 or higher to demonstrate its contribution, or it may be evicted for monetary losses from a show expected of a higher caliber. Stare down the big, bad This is Us? How would ABC manage that task? ABC took several bold scheduling strokes with mixed results. Its Friday/Sunday reinvention has turned into a a laughable lesson in fractions, but its sitcoms were positioned to forecast the franchise's future into the 2020's. 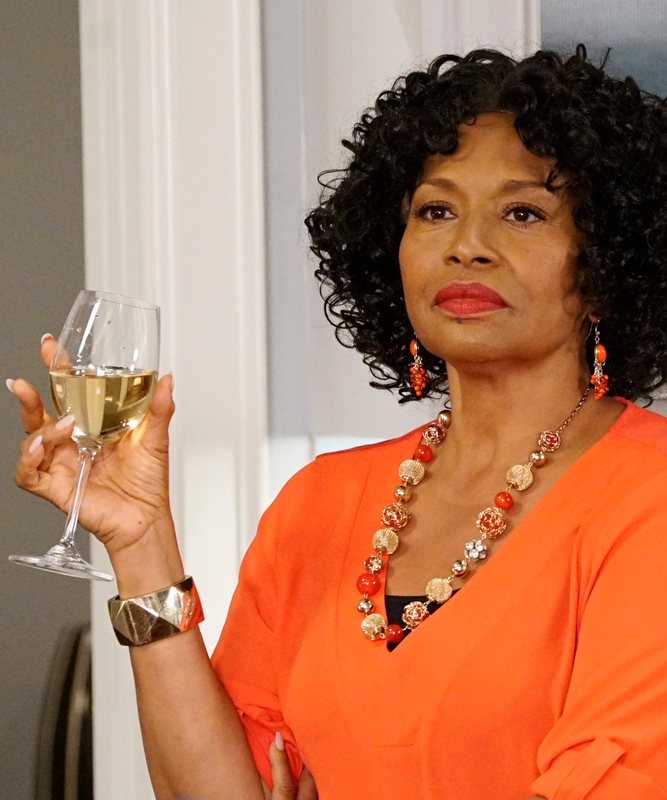 The network made a daring move by relocating Black-ish to Tuesdays in last season's ho-hum 9:00 space on Tuesdays. The results? Black-ish has taken a mild beating, now delivering between 1.1-1.5 for the season. However, the victory lies in taking 2nd or 3rd in their timeslot against NBC's winner. Black-ish now leads the Middle of the Pack, tied with FOX's Family Guy in 11th Place (1.28). Black-ish is likely to return next year and appears to have dispersed viewing patterns on Tuesday Evenings to ensure the resurgent Tuesday Comedy Block survived with 4 hours of programming intact. Nicely done, and praises to show runners, as well as a phenomenal ensemble featuring bold Anthony Anderson, beautiful Tracee Ellis Ross and bemusing Jenifer Lewis. Keep the magic coming, and Tuesdays alive! What a forkin' difference new neighbors make, even in a Heaven-esque Utopia. The Good Place always shadowed Superstore within tenths in 2016. Enter a popular neighbor in the Will and Grace return, and the dynamic has shifted in The Good Place's favor. After W&G exits after it completes its 16 episodes, rating will indeed edge down. But The Good Place can enjoy saintly praises and additional exposure to increase odds of staying in the clouds in 2019. Last year's leading freshman sitcom takes the plunge into a sophomore slump, weighing down the last half of CBS's tenuous Monday comedy block. The controversial firing of Erinn Hayes in favor of Leah Remini held potential to reinvent the premise due to notoriously killing off Hayes' Donna. The results? A promising 2.3 premiere out of Young Sheldon, then shedding a full tenth in the next week, now ranging between 1.1-1.3. And CBS expects KCW to lead Mondays starting October 30!? KCW is capable of stronger performance, having remained a tick above its neighbors last season. Once TBBT moves, Mondays inevitably will drop, and KCW is not holding a higher standard of Nielsens it is capable of. With superb chemistry between Kevin James and Remini, the series should be crackling fireworks to lead the evening, not failing to ignite a spark in ash-doused ratings which leave Mondays burned out. Last year's leading ABC freshman is down 0.36 from its glorious season average as the 6th highest sitcom, now weighted down in the lower reaches in 16th Place. Unlike Black-ish, which was delivered an undesirable move, Speechless is poised in one of ABC's prime development between Modern Family and The Goldbergs. Both are down, but Speechless now rests in a lowly valley between, commonly delivering a 1.1 rating while its neighbors deliver between 1.4-1.7. Speechless' odds of cancellation are still light as The Mayor is tanking and the Middle treks into finality. But its probability of eviction is high as the rest of the evening performs at a higher bar. A mysterious drop has few answers, and perhaps Speechless is demonstrating its viewing strength matches Fresh Off The Boat. Will and Grace's 9th season returned to heralded results after an 11-year break due to crisp writing and durable dynamics. NBC wisely positioned this evening's prized pony in the 9:00 timeslot, regularly whooping the competing networks as it rings welcome nostalgia of Must-See-TV past. Not only can viewers enjoy the revival, but enjoy a crisp, canned-laughter-free set of surrounds of sophisticated caliber. NBC ended last season in 1st place but longed to resurrect its signature sitcoms. This season is on track for another win, and is delivering welcome growth on Thursdays. Aided by Scandal's last ailing season, NBC stands high odds in reclaiming the 9:00 hour with only CBS' Mom posing as a threat to usurp their 1st Place victory. 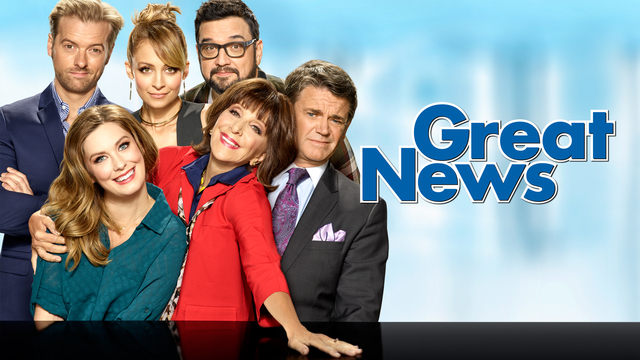 NBC's tone is sophistication thanks to W&G, while CBS' tone is Chuck Lorre's crass showpieces. Both wonderful for their niches, but NBC holds true to its roots dating back to 1984. Well done! Too bad Mary Steenburgen's Gail never rises before 11:00, because Last Man on Earth takes on the last timeslot on FOX. Utilizing a serialized tone with clever undertones, LMOE's ratings remain as apocalyptic like its backdrop between 0.8-1.0. The good news for devoted fans is the series will have amassed 67 episodes by May, and nary a sitcom can stick as strong as LMOE can in one of FOX's least-desired scheduling real estate offerings. Tragically, LMOE may never achieve the stellar ratings it badly deserves. Perhaps stability will help LMOE anchor against unilateral drops, and a 0.8 will sparkle like Gail's spirit(s). Cancellations on Network Television are inevitable, as the business model needs fresh blood to guarantee the duration of their enterprise. Unfortunately, that means some shows viewers love must be parted with to make space. The Mayor was elected with two strikes against it due to its 9:30 timeslot and competing with NBC powerhouse This is Us. Unfortunately, history has repeated itself as The Mayor already matches last year's failures The Real O'Neals and Imaginary Mary. Add a third strike with Roseanne, Alex, Inc and Splitting Up Together waiting competitively on the bench, and the Mayor will be outvoted sometime soon. Over at CBS, Me, Myself & I was also saddled with undesirable scheduling. Dipping into fractional territory so soon decreased survival odds, and the next two weeks of performance will test how fast MM&I can avoid the network's swing of the silver slaughter. Unlike the latter two mentions, Brooklyn 99 has enjoyed a lengthy run, passing the syndication benchmark this year. B99 shares the same cursed strike as The Mayor competing against TIU, but its paltry delivery is in line with a CW platform, now averaging 0.65. It currently surpassed last year's record-low ratings for Making History and will need to prove it can improve in another timeslot to survive. The problem is FOX has few underperforming spaces to repair, and B99 is now viewed as dead weight.